Reducing prices of petroleum products and goods is the best Valentine’s Day gift to Filipinos burdened by high prices of food and other goods due to the Tax Reform for Acceleration and Inclusion (TRAIN) Law, according to Sen. Bam Aquino. “Ang pinakamagandang regalo sa taumbayan ngayong Valentine’s Day ay bawas presyo,” said Sen. Bam, who filed the Bawas Presyo sa Petrolyo Bill last May 2018 to help lower prices of petroleum products and other goods. “Masakit ang puso ng maraming Pilipino dahil nalulunod pa rin sa taas-presyo ang taumbayan lalo na ang mga mahihirap nating kababayan,” added Sen. Bam, one of four senators who voted against the ratification of the TRAIN Law. The price of galunggong rose from P130 per kilo in December 2017 to P200 per kilo in December 2018 before slightly dropping to P180 per kilo as of February 7. Sardines rose from P15 in December 2017 to P17.50 in December 2018 up to present. 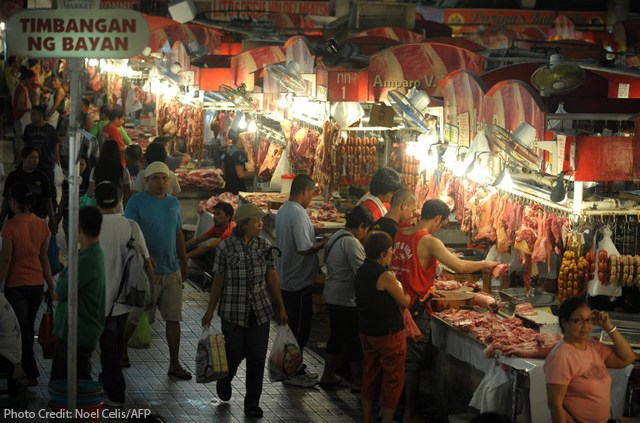 Prices of bangus increased from P130 per kilo in December 2017 to P200 per kilo in December 2018 before dropping to P180 per kilo early this month while pork went up from P200 per kilo in December 2017 to P220 per kilo in December 2018 up to present. “Nakaka-heartbreak pong malaman na nananatili pa ring mataas ang presyo ng mga bilihin tulad ng sardinas at baboy. Kailangan pong ipaalala na sa gobyerno na hindi parin bumababa ang presyo,” said Sen. Bam. Sen. Bam warned that Filipinos will be in for a tougher time with the increasing prices of petroleum products and electricity. “Kailangan na nating kumilos upang matugunan ang serye ng pagtaas na ito. Panahon na upang ipasa ang Bawas Presyo sa Petrolyo Bill na matagal na nating isinusulong upang mabigyan ng ginhawa ang ating mga kababayan,” said Sen. Bam. Sen. Bam’s measure seeks to suspend and roll back the excise tax on fuel under the TRAIN Law once the country’s inflation rate exceeds the government’s target for three straight months. “Dapat kumilos agad ang gobyerno para maibsan agad itong pahirap sa ating mga kababayan,” he added. 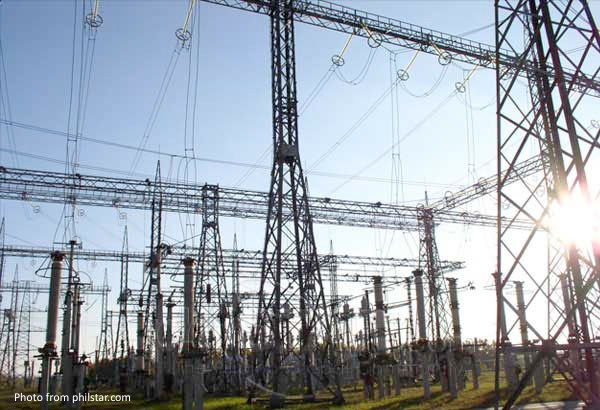 “Kailangan simulan agad ang mga mahahalagang reporma sa power industry para hindi mahirapan ang taumbayan,” he said. 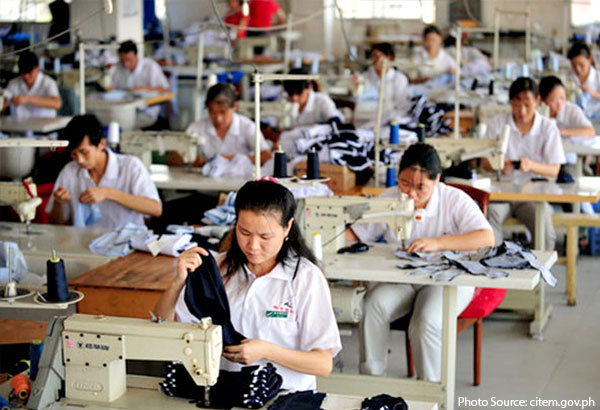 Sen. Bam said government must prioritize energy infrastructure projects to help address the country’s supply issues, and to remove red tape to enhance competition and encourage more players in power generation. Sen. Bam Aquino urged the government to quickly address the latest increase in prices of goods due to Typhoon Usman and the projected rise in cost of petroleum products from the expected increase in fuel prices in the world market along with the additional excise tax on fuel under the Tax Reform for Acceleration and Inclusion (TRAIN) Law. “Kailangang umaksyon agad ang gobyerno para maibsan itong bagong hataw ng taas-presyo ng bilihin at halaga ng produktong petrolyo sa ating mga kababayan,” said Sen. Bam, one of four senators who voted against the ratification of the TRAIN Law. “Kawawa ang mahihirap nating kababayan dahil sa dobleng hagupit ng bagyong Usman at dagdag-buwis sa petrolyo. Itigil muna natin ang pagpapatupad ng excise tax sa produktong petrolyo,” added Sen. Bam. The senator said the government should be sensitive to the plight of consumers and poor Filipinos, who are expected to carry the additional burden of high prices of goods due to the latest levy on oil products under the TRAIN Law. “Hindi pa bumababa yung presyo ng bilihin, tinira na kaagad iyong pagtaas ng petrolyo. Panibagong pasanin na naman ito para sa ating mga kababayan, lalo na ang mahihirap,” said Sen. Bam, referring to the government’s decision to implement the second tranche of excise tax under the TRAIN Law. “Hindi dapat pinapatawan ng buwis ang petrolyo dahil hindi natin kontrolado ang presyo nito,” Sen. Bam stressed, adding that the country’s inflation rate remains far from the government’s inflation rate target of 2-4 percent range. Sen. Bam’s reaction came amid the reported increase in prices of vegetable and other agricultural products after the onslaught of Typhoon Usman and the expected increase in fuel prices with the implementation of the second tranche of excise tax on fuel. Sen. Bam said the passage of his Bawas Presyo sa Petrolyo Bill will help ease the burden of Filipinos as it suspends and rolls back excise tax on fuel once the country’s inflation rate exceeds the government’s target for three straight months. Sen. Bam filed the Bawas Presyo sa Petrolyo Bill in May 2018. Sen. Bam Aquino is worried the government is starting the year on the wrong foot by adding taxes to petroleum products based on the Tax Reform for Acceleration and Inclusion (TRAIN) Law, saying it may worsen the burden of high prices on the Filipino people. “Ang pinakamainam na New Year’s resolution para sa bayan ay bawasan ang pahirap sa mamamayan,”said Sen. Bam, one of four senators who voted against the ratification of the TRAIN Law. “Nalulunod pa nga sa mataas na presyo ng bilihin ang ating mga kababayan, may dagdag buwis pa ulit. Tulungan sana natin ang mga mahihirap nating kababayan,” added Sen. Bam, who earlier called for the 100% implementation of the law for free college. Sen. Bam said he hoped the government would defer the implementation of the second tranche of excise tax on fuel until inflation normalizes or until prices of food and other goods go down. Under the second tranche, an additional two pesos excise tax will be imposed on gasoline and diesel and one peso on kerosene and LPG in 2019. Sen. Bam has been pushing for the rollback of the tax on fuel through the Bawas Presyo sa Petrolyo Bill that he filed in May 2018. The measure aims to fix the TRAIN Law by ensuring the suspension and rollback of excise tax on fuel once the country’s inflation rate exceeds the government’s target for three straight months. Sen. Bam Aquino welcomed the House of Representatives’ move to tackle measures to shelve the excise tax on petroleum under the Tax Reform for Acceleration and Inclusion (TRAIN) Law, hoping that the Senate could follow suit and work for its complete removal. “Magandang balita na kumikilos na ang Kamara para maitama ang ilang probisyon sa TRAIN Law na dahilan ng pagtaas ng presyo ng bilihin,” said Sen. Bam. “Kailangan talagang ayusin ang TRAIN Law mahihirap ang nasasagasaan nito,” he pointed out, adding that the 6 percent inflation rate for November remains above the government’s target of 2-4 percent. Sen. Bam hopes that the Senate can start tackling his Bawas Presyo sa Petrolyo Bill and the minority’s Joint Resolution No. 15, which are both seeking to suspend the excise tax under the TRAIN Law and mandate the rollback of levy on fuel to December 31, 2017 rates. “Hopefully, the Senate can follow suit and tackle these crucial measures before the end of the year,” said Sen. Bam, one of four senators who voted against the ratification of the TRAIN Law. Sen. Bam said the passage of these measures is crucial after Malacanang decided to implement the excise tax on fuel in 2019 after initially expressing desire to suspend it. “Mas mahalagang madaliin ang pagsasabatas nito dahil hanggang ngayon, mahal pa rin ang presyo ng pagkain at iba pang bilihin na ikinalulunod na ng marami nating kababayan,” said Sen. Bam. Earlier, Sen. Bam called on the government to reconsider its decision to push through with the collection of excise tax on fuel in 2019. 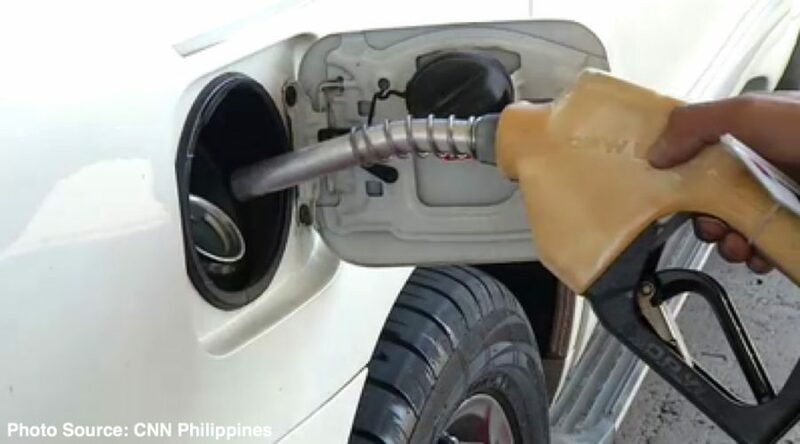 The government should reconsider its decision to implement the excise tax on fuel under the Tax Reform for Acceleration and Inclusion (TRAIN) Law for 2019 as inflation rate remains far from its original target, according to Sen. Bam Aquino. 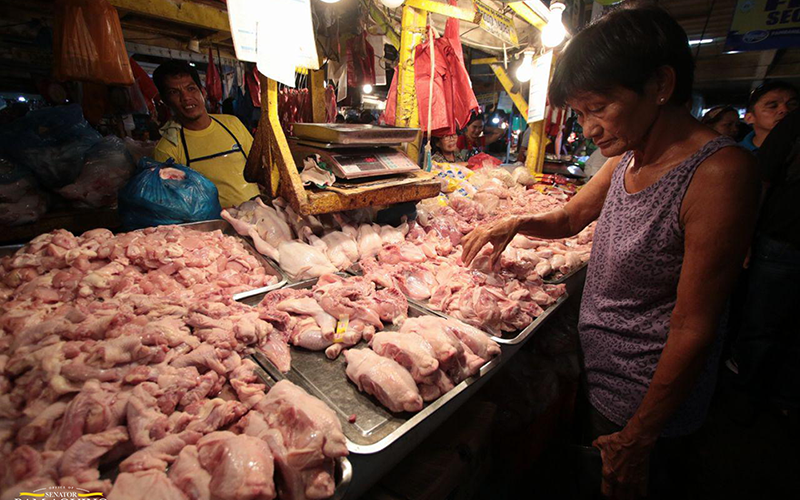 “Walang basehan itong pagbawi ng pangako ng gobyerno dahil mas mataas pa rin ang inflation sa sarili nilang target,” said Sen. Bam, referring to the November inflation rate of 6.0 percent, which remains far from the government’s inflation rate target of 2-4 percent range. “Ibig sabihin, nasa gitna pa rin tayo ng krisis ng taas presyo kaya mali ang desisyong patungan ng excise tax ang produktong petrolyo sa susunod na taon,” added Sen. Bam. Sen. Bam said the government should have based the suspension of excise tax on fuel on inflation rate and not on world crude prices, which he is pushing in his Bawas Presyo sa Petrolyo Bill that he filed in May 2018. “Matagal na nating ihinain ang Bawas Presyo sa Petrolyo Bill na nagsisikap na baguhin at ayusin ang mga problemadong probisyon ng TRAIN. Ito na lang sana ang binigyan ng pansin ng economic managers, imbis na ulitin ang mga pagkakamali ng TRAIN Law,” said Sen. Bam. Earlier, Sen. Bam lamented the decision of economic managers to implement the excise tax on fuel for 2019, days after recommending its suspension. “Nakakapagod ang mga urong-sulong na pangako, lalo na para sa mga Pilipinong nalulunod sa taas-presyo,” said Sen. Bam. “Pinakinggan sana ang taumbayan at hindi na gatungan ng buwis sa petrolyo ng TRAIN Law, habang alam naman ng lahat na ang pag-akyat nito ang dahilan sa mataas na presyo sa merkado,” he added. Alarmed by report that children’s nutrition is affected by inflation and the Tax Reform for Acceleration and Inclusion (TRAIN) Law, Sen. Bam Aquino stressed that their health should be prioritized over government revenue. “Nakakabahala na mga bata ang pinakatinding tinamaan ng TRAIN Law at mataas na presyo ng bilihin,” said Sen. Bam, referring to a report by Ateneo de Manila University researchers that Filipino children were deprived of needed nutrients due to high inflation from February to September. “Huwag ipagpalit sa dagdag na buwis ang kalusugan ng ating mga anak,” added Sen. Bam, one of four senators who voted against the ratification of the TRAIN Law. Reiterating his willingness to work with the government to lower prices of food and other goods, Sen. Bam said there is an urgent need to suspend and roll back of the excise tax on petroleum products imposed by the TRAIN Law. Sen. Bam submitted Senate Bill No. 1798 or the “Bawas Presyo sa Petrolyo Bill” last May to suspend the excise tax on fuel under the TRAIN Law and roll it back to December 31, 2017 levels. The only measure in the Senate that seeks to amend the TRAIN Law, Senate Bill No. 1798 aims to suspend the collection of excise tax on fuel once inflation rate surpasses the government’s inflation target for three consecutive months. Furthermore, Sen. Bam said the government should ramp up the rollout of the social mitigating measures under the TRAIN Law, including the unconditional cash transfer program, Pantawid Pasada Program and even the 10-percent discount on NFA rice. 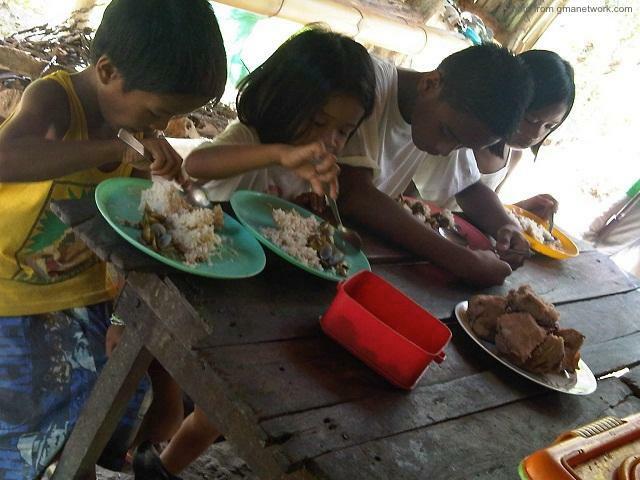 Sen. Bam also called on the government to fully implement Republic Act 11037 or the Masustansiyang Pagkain para sa Batang Pilipino Act, which aims to eradicate hunger and undernutrition by providing free nutritious meals to public day care, kindergarten and elementary school students. Sen. Bam pushed for the passage of the measure as principal sponsor and co-author during his term as chairman of the Committee on Education in the 17th Congress. Sen. Bam to gov’t: Ibasura na ang buwis sa petrolyo! Sen. Bam Aquino urged the government to support initiatives that aim to stop excise tax on fuel under the Tax Reform for Acceleration and Inclusion (TRAIN) Law, saying time is running out as lawmakers have just 15 session days remaining for 2018. “Wala nang panahon. 47 days na lang ay Pasko na at mayrooon na lang labing-limang session days para maisulong ang ating panukala, pati na ang resolusyon ng minorya at sulat ng mayorya ukol sa pag-alis ng excise tax sa petrolyo,” said Sen. Bam. “Nagkakaisa ang Senado sa hangaring mapababa ang presyo ng petrolyo at bilihin para sa kapakanan ng ating mga kababayan na nahihirapan na sa mataas na presyo ng bilihin,” added Sen. Bam. Sen. Bam filed Senate Bill No. 1798 or the Bawas Presyo sa Petrolyo Bill last May while minority senators filed Joint Resolution No. 15 calling for the suspension and rollback of excise tax on fuel. Majority lawmakers, for their part, wrote President Duterte asking to suspend excise tax on fuel under the TRAIN Law. Congress will resume session on Monday (Nov 12), and will end its session on Dec. 12 (Wednesday). “Bigyan natin ng konting ginhawa ang mga mahihirap na nalulunod sa taas presyo,” Sen. Bam emphasized, adding that suspending excise tax on fuel under TRAIN Law is the best Christmas gift that the government can give to the Filipino people. “Pamasko niyo na po sa mahihirap ang pagtanggal ng TRAIN sa petrolyo. Galaw-galaw na po, magpa-Pasko na,” said Sen. Bam, one of four senators who voted against the ratification of the TRAIN Law. The only measure in the Senate that seeks to amend the TRAIN Law, Senate Bill No. 1798 aims to add a safeguard to ensure the suspension in the collection of excise tax on fuel once inflation rate surpasses the government’s inflation target for three consecutive months. 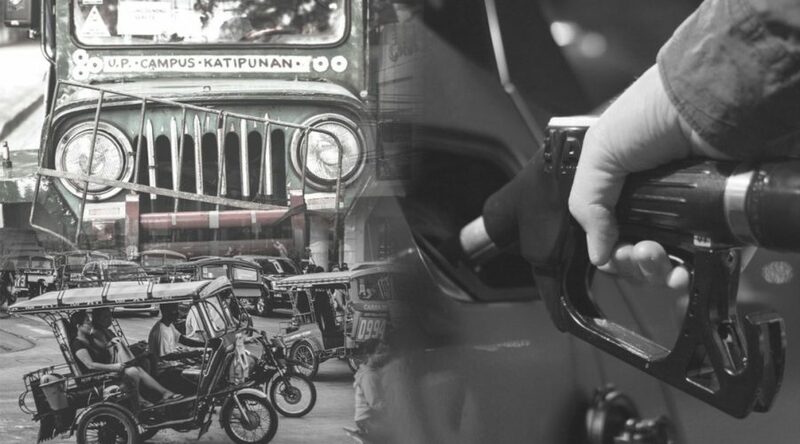 According to Sen. Bam, removing the excise tax on fuel would not only bring down prices of fuel, but also prices of fares, food and other goods in the market. Sen. Bam added that removing the excise tax on petroleum would translate to additional P87 per day income for public utility drivers (PUV), which they can use to purchase two kilos of rice for their family. 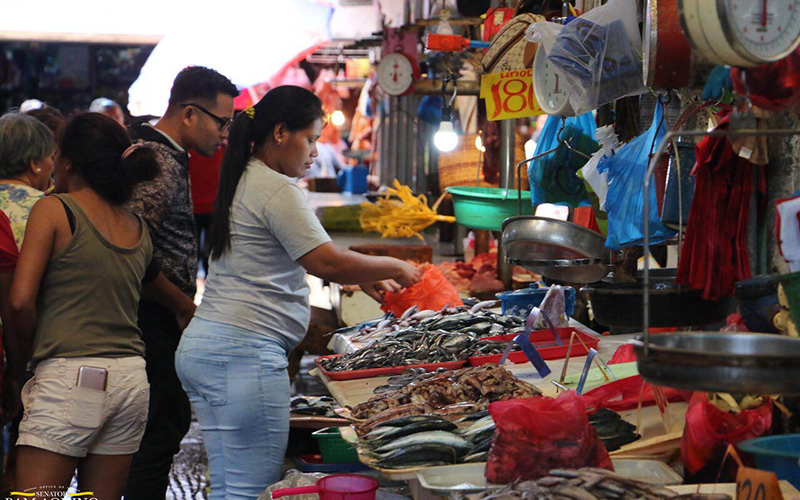 With inflation unchanged and still beyond the projected target range, Sen. Bam Aquino stressed that government must work together to help Filipinos still suffering from high prices of food and other goods. “Mataas pa rin ang presyo at umaaray pa din and mga pamilyang Pilipino. Bigyan natin sila ng kahit kaunting ginhawa ngayong Pasko,” said Sen. Bam, one of four senators who voted against the ratification of the Tax Reform for Acceleration and Inclusion (TRAIN) Law. “Magtulungan na tayo upang suspindihin at i-rollback ang buwis sa petrolyo. Ipasa na natin sa Kongreso ang Bawas Presyo Bill at ayusin ang TRAIN Law,” added Sen. Bam who filed Senate Bill No. 1798 or the Bawas Presyo sa Petrolyo Bill last May. Sen. Bam renewed his call to the government to support his measure, which he believes could help lower prices of petroleum products and the prices of goods in the market. “Pinagtulungan na natin noon ang batas na libreng kolehiyo. Ngayon, itong Bawas Presyo Bill naman sana ang Christmas gift natin sa ating mga kababayan,” urged Sen. Bam. Sen. Bam’s Senate Bill 1798 is the only measure in the Senate that seeks to amend the TRAIN Law. 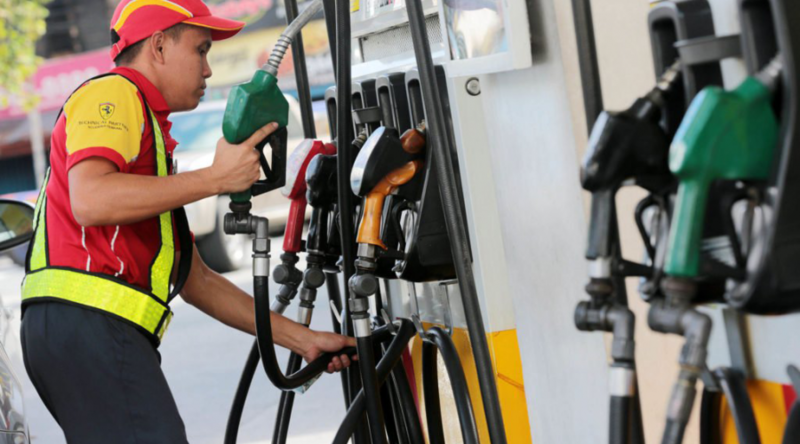 If passed, it will add a safeguard to ensure the suspension in the collection of excise tax on fuel once inflation rate surpasses the government’s inflation target for three consecutive months. The senator said that reducing the cost of petroleum products would not only affect fare prices but would also have an indirect effect on the prices of food and other goods in the market. Also, Sen. Bam added that removing the excise tax on petroleum would translate to additional P87 per day income for public utility drivers (PUV), which they can use to purchase two kilos of rice for their family. The P25 salary increase for National Capital Region (NCR) cannot stand alone and should be coupled with efforts to lower prices of goods, including the suspension of excise tax on fuel under the Tax Reform for Acceleration and Inclusion (TRAIN) Law, according to Sen. Bam Aquino. “Parehong dagdag kita at bawas presyo ang kailangan ng ating mga kababayan. Bigyan natin ng sapat na ginhawa ang mga Pilipinong nalulunod sa pagtaas ng presyo ng pagkain, bigas at iba pang bilihin,” said Sen. Bam, one of four senators who voted against the ratification of the TRAIN Law. “Gawing prayoridad na sana ng Kongreso ang pagpasa sa Bawas Presyo Bill para maayos naman kahit kaunti ang TRAIN Law at mabawasan ang pasan ng Pilipino,” added Sen. Bam, who is the only senator to file a measure seeking to amend the TRAIN Law. Sen. Bam filed Senate Bill 1798 or the Bawas Presyo sa Petrolyo Bill in May 2018 to add a safeguard to the TRAIN Law that allows for the suspension in the collection of excise tax on fuel should the inflation rate surpass the country’s predicted target for three consecutive months. “Kung ipasa ang Bawas Presyo Bill at tanggalin ang excise tax sa petrolyo sa TRAIN Law, hanggang P87 kada araw ang dagdag sa kita ng ating mga jeepney driver,” said Sen. Bam, adding that this would be enough for PUV drivers to buy two kilos of rice per day for their families. Sen. Bam also said that reducing the cost of petroleum products would not only affect fare prices but would also have an indirect effect on the prices of food and other goods in the market. “Magandang regalo ngayong Pasko ang tulong sa pagbababa ng presyo ng bilihin. Kaya itutuloy ko sa Senado ang paninindigan para sa Bawas Presyo Bill upang ayusin ang TRAIN Law,” said Sen. Bam, who continues to stand by his no-vote on the TRAIN Law.